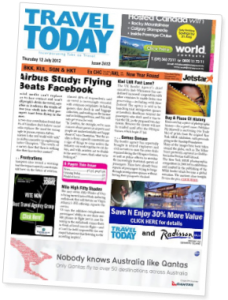 Travel Today Delivers Like No Other NZ Travel Industry Publication! If you want or need to know what’s going on in the New Zealand travel industry, subscribing to The ‘News Breaker’ is a must. 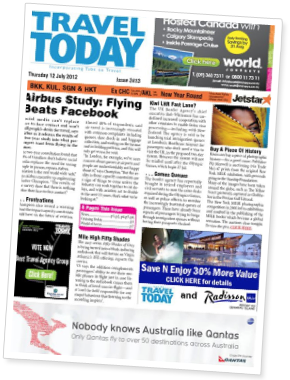 Travel Today breaks more news stories than any other local travel industry trade publication… consistently. In fact, almost daily. Its editorial content is not just a collection of “cut-and-paste”, but rather the endeavours of professional staff journalists. We go looking for the news, and don’t wait for it to come to us. Travel Today follows in Tabs on Travel’s footsteps and continues to be required reading for retail consultants… and in fact the whole New Zealand travel industry. It is worth noting that over 50% of Travel Today’s daily circulation is to paying subscribers. A totally-positive achievement in today’s “free” electronic environment, and one that can only reinforce the publication’s dominant market position. No other New Zealand travel industry trade publication has any paid subscription levels to speak of. Travel agents contine to tell us that Travel Today gives them a daily fix they cannot do without, and that continues this publisher’s 24-year “industry-bible” tradition. Travel Today is published daily (approx 233 times annually (depending on public holidays), apart from the 4-week Christmas holiday break. Pro-rata refunds on cancellations would only apply if the cancellation was within the first 6 months of the subscription. There is the option to unsubscribe from any EDM mailings, including RSVP trade invitations; t-mail product broadcasts; or Client-mail distributions. That option is contained in every distribution. A subscription enables up to six e-mail addresses to be included. Every edition of Travel Today is copyrighted and must not be forwarded to non-subscribers.